Very patriotic family...goes with our front yard theme! Loved the last ones I bought s verbal years ago. Great summer decorations. I had wood ones but they did not last long. I thought it would look sharp and last longer. 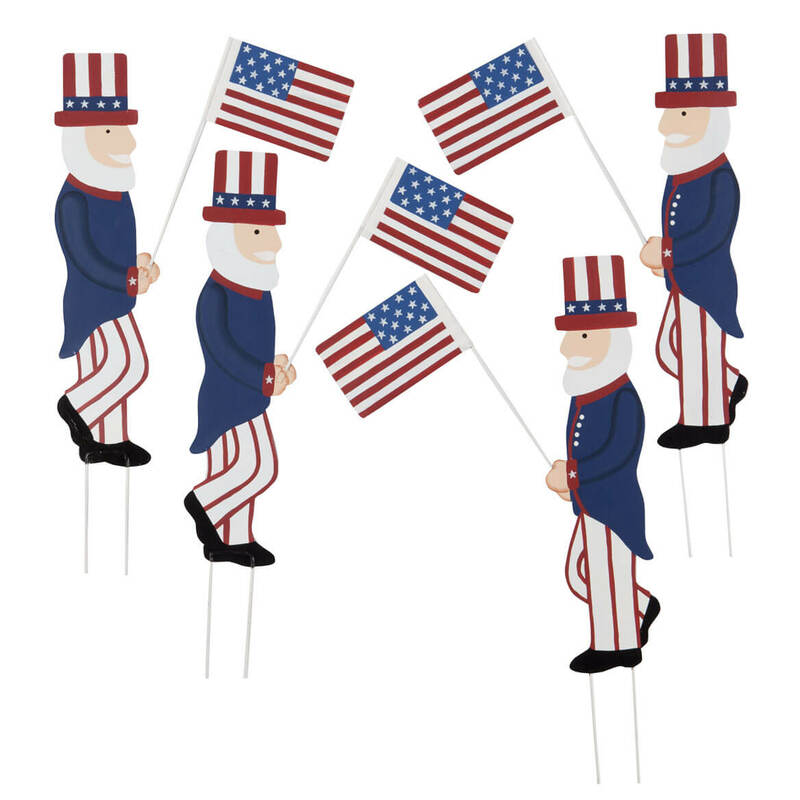 These will help us celebrate patriotic holidays as they smartly march along the walk. To add to my holiday decor. 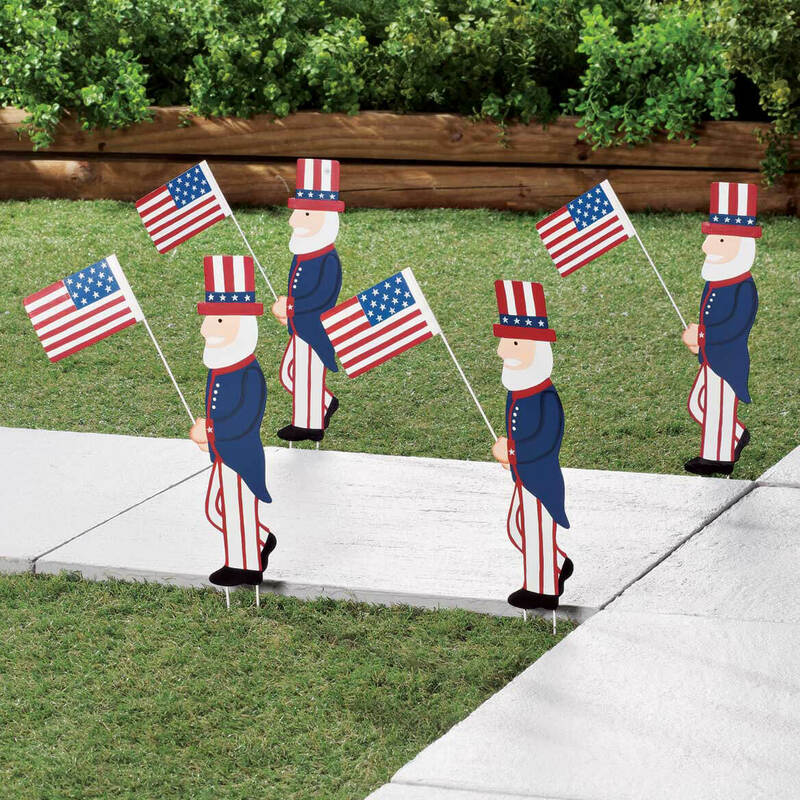 I loved these, I ordered 1 set of them last year, and I just ordered 2 more sets to add to my sidewalk! Hope to use for walkway. The will decorate my lawn beautifully. I like most anything patriotic, so will put them out for July 4th. I hope to use these for all my memorial holidays on my drive entrance. I think it would look good in my drive way. Have 2 kids in Coast guard. for my grandsons, both parents are in the Army, even tho they are young, never too early to show our patriotism.